The Department of Typography & Graphic Communication warmly invites prospective MA applicants to visit us for a postgraduate open day. The open day will be held in the Department on Thursday 28 February 2019 from 10.15–14.00. It’s a fantastic opportunity to find out more about the specialist postgraduate study routes we offer through exploring the work of past and present students and talking to our subject experts in Book Design, Communication Design, Creative Enterprise, Information Design, and Typeface Design. We’re also planning some talks that incorporate highlights from our world-renowned Collections and give you a taste of teaching and research at Reading. We look forward to sharing with you exciting developments about how we’ve refreshed our postgraduate taught programmes to build a stronger, integrated typographic foundation for research and practice across all programmes and specialist pathways. 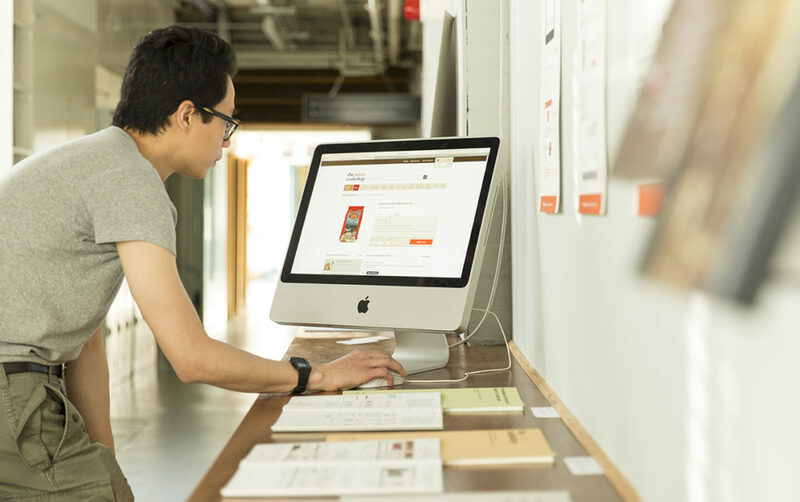 We’ve introduced a new general Communication Design pathway to complement our well-known established pathways in Book Design, Information Design and Typeface Design. These four specialist pathways are all offered as part of our newly renamed MA Communication Design – the ideal degree for anyone wishing to develop their professional practice within a world-class research environment. In addition to the practice-intensive pathways for the MA Communication Design programme, we also offer a multidisciplinary Creative Enterprise programme and two research-intensive programmes. Our MA Creative Enterprise is designed for individuals who wish to combine their study of research and practice in Communication Design with studies of management and law for the creative sector. Our MA Research Typography & Graphic Communication is the ideal route to prepare you for independent research and doctoral study and our MRes Typeface Design is a bespoke route for experienced, practicing typeface designers who want to develop a deeper understanding of the historical and theoretical aspects of their field. To register your interest, please email Victoria Gifford – typography@reading.ac.uk. Soon after the conclusion of a successful visit by students from CAFA to Typography in 2015, we commenced working on a reciprocal visit to Beijing. As it happened, several strands of activity came together to make this an exceptionally productive visit. 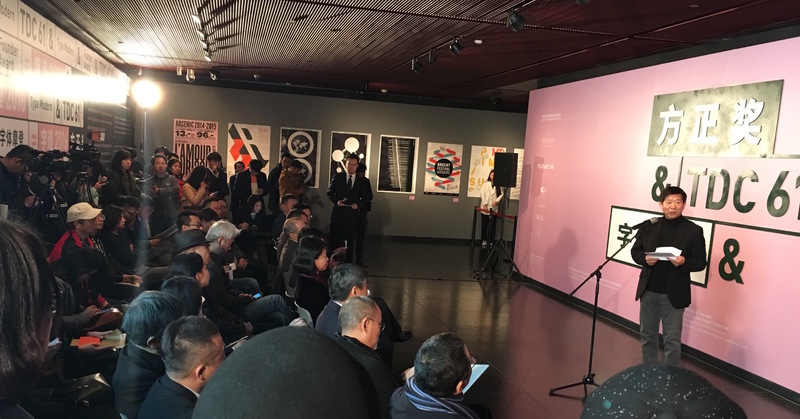 A short report follows below; the local organisers, led by CAFA teacher Liu Zhao, recorded all presentations for translation and reposting on the Chinese social networks, and microblogged almost every minute of the trip to a jaw-droppingly numerous online audience. Opening the visit with a more formal occasion, Gerry Leonidas and José Scaglione (Reading alumnus and ATypI president) took part in the judging of the 8th Founder Type Design Competition. 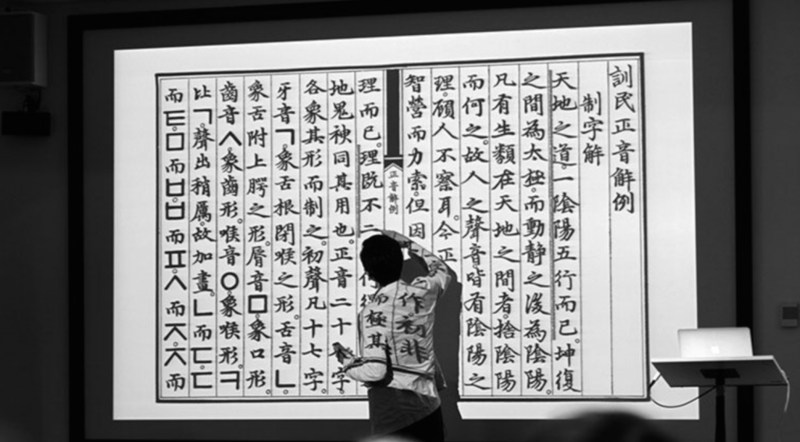 The event, held every two years, included for the first time Latin typefaces by Chinese designers. The next day, the winners were announced in the National Centre of the Performing Arts (the “Egg”), together with the opening of the TDC61 exhibition, the Chinese leg of the global tour of the annual design competition; and the opening of the “Chinese Type Modern 1919–1955” exhibition with material from the archives of Founder Electronics on the transition of Chinese type-making across technologies – with clear influence by Reading’s TDi 2015 course, in which Founder staff participated in. Two visits at the Centre for Chinese Font Design and Research, hosted in the offices of Founder Electronics, focused on design issues in fonts for Chinese, design tools and processes, and professional training for multi-script design. 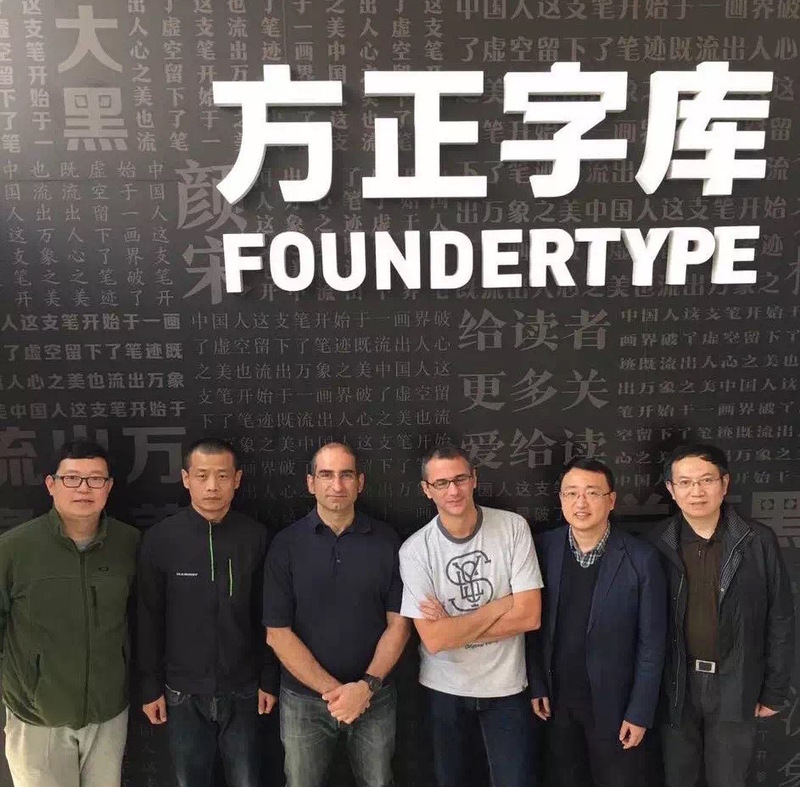 The second of the visits had very concrete aims, with Gerry orchestrating the localisation of Glyphs (the key font design application) into Simplified Chinese, to enable designers in China to experiment with new workflows. Starting in TDi 2015, Gerry Leonidas guided Liu Zhao to compile a list of books on typography and typeface design in English to be translated into Chinese by CITIC, one of the most prominent publishers in the country. The project is progressing well with many rights already secured, and schedules for the translations and launches in place. 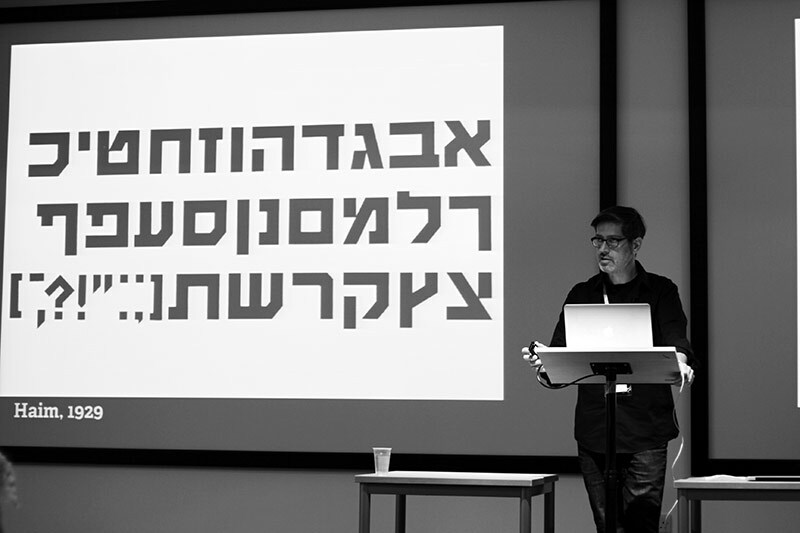 Gerry’s involvement in the curation of the series provides the opportunity for the University’s approach to typographic scholarship to be transplanted in a new market in a unique manner. 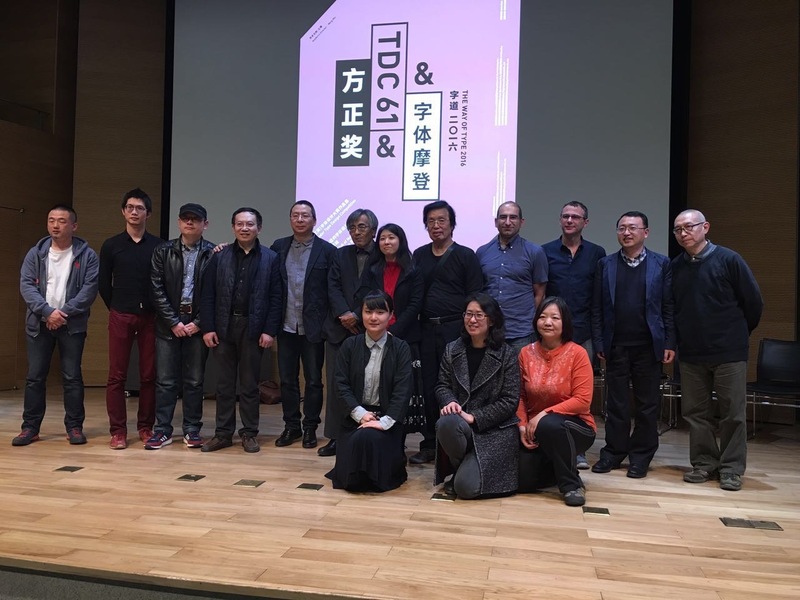 This is part of a wider collaboration between the University, CITIC, and CAFA, with the aim of building up typeface design education in China. 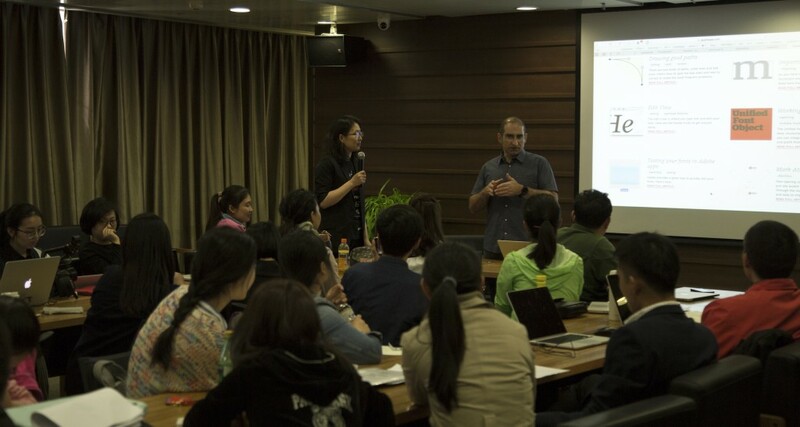 Despite the timing on a Sunday evening, over 140 designers from Dongdao, one of the largest design agencies in China, turned up to listen to José and Gerry talk about typeface design solutions and studies. The presentations were followed by Q&A sessions and interviews, which will be posted on Chinese social media with subtitles. Seeing in person the typographically maturing environment in Beijing and particularly the concretely supportive attitude in CAFA convinced José and Gerry (president and vice-president of ATypI respectively) of the importance and timeliness of bringing the annual conference of the type design community to mainland China. They outlined the key parameters of a proposal with Dean Wang Min and Liu Zhao, and explored timing options. Look for announcements through ATypI! Good typography is at the heart of government and public services: it enables access to information, builds trust, and ensures accessibility. This statement will not surprise anyone who appreciated the impact of the redesigned GOV.uk site, and similar efforts in other european countries. Well, now the US government has published its own comprehensive guidelines for the web, to “set a new bar for simplicity and consistency across government services”. 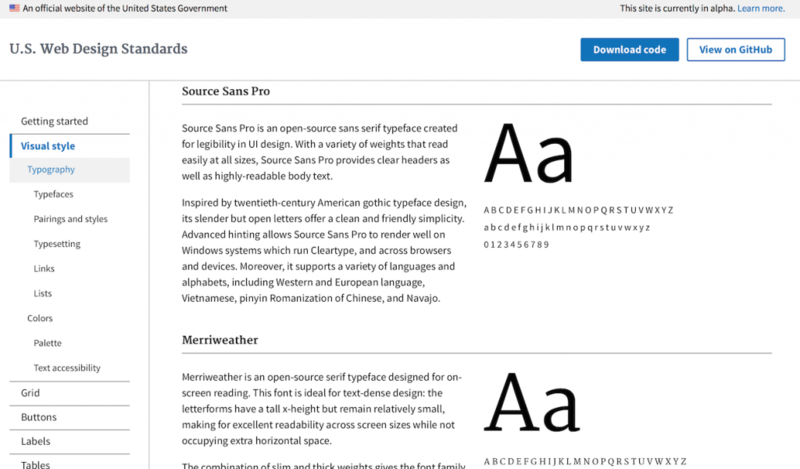 Dig down a bit, and the Reading connection is clear: the two typefaces recommended for all US government websites are Merriweather and Source Sans Pro. Merriweather was designed by MATD alumnus Eben Sorkin, and was based on his research at Reading for his typeface Arrotino. Source Sans Pro was designed by MATD alumnus Paul D. Hunt, as part of his work at Adobe. It’s a nice thought that, through the work of graduates, a little bit of Reading’s methodology and attention to detail has found its way on sites that can impact so many lives. Granshan is devoted to the development of typographic awareness in global scripts, through its annual competition and conference. This year Reading hosted the fourth conference, after Yeravan, Bangkok, and Munich. 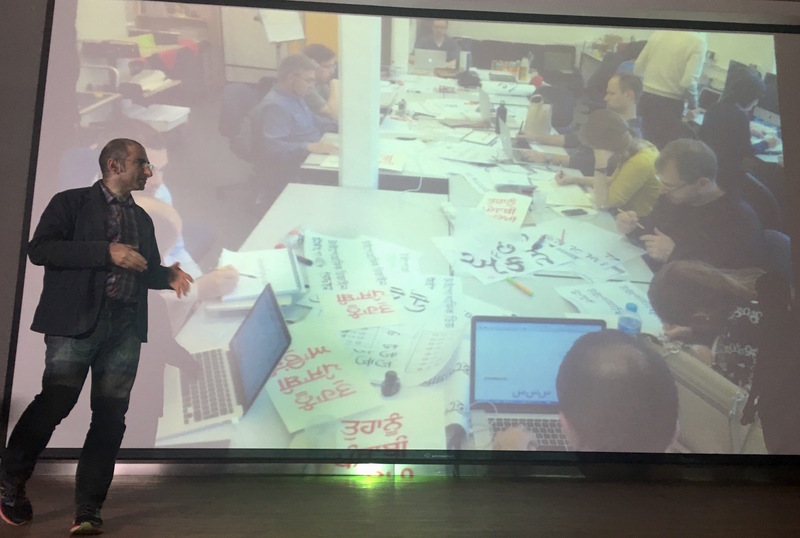 Over three days, the conference touched on the business of type design, training, support for minority and endangered scripts, the development of resources for complex scripts, and severals aspects of design for global scripts. A tight schedule combined a dense pace punctuated by generous break times, to allow for new connections. To celebrate the fifteenth anniversary of the MATD, the first day was devoted to globally prominent speakers who were also graduates of programme. The conference included two special events. The first celebrated the Murty Classical Library of India series by Harvard University Press, with a salutation by Tim Jones, and presentations by Fiona Ross, Rathna Ramanathan, and John Hudson. 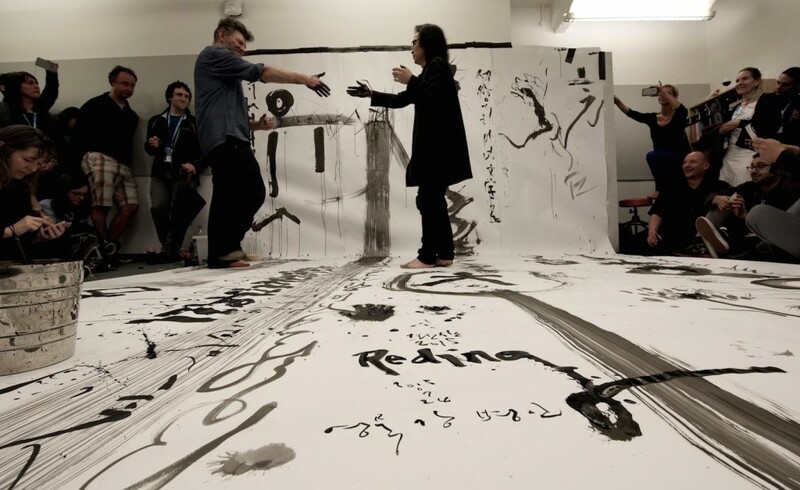 The second was a very special calligraphy duet with Timothy Donaldson representing Europe and Kang Byung-in representing Korea, in an impressively packed studio in Typography. The conference ended with an after-party organised by the current MATD students. More than twenty countries were represented by speakers, and many more by attendees, underlining the strength and extent of the current network of typeface design.An exceptional AV team produced a liveblog of the conference, and had uploaded most talks before even the end of the conference on the Granshan YouTube Channel. Granshan 2015 was among the best conferences I have ever attended. Great thanks to @typographische, @typefacedesign and sponsors! During the closing statements Boris Kochan announced that the 2016 Granshan will take place in Seoul. Follow @GranshanConf for updates! There is a good community of Typography graduates working at Apple, and in recent days we got a peek at what they’ve been working on. 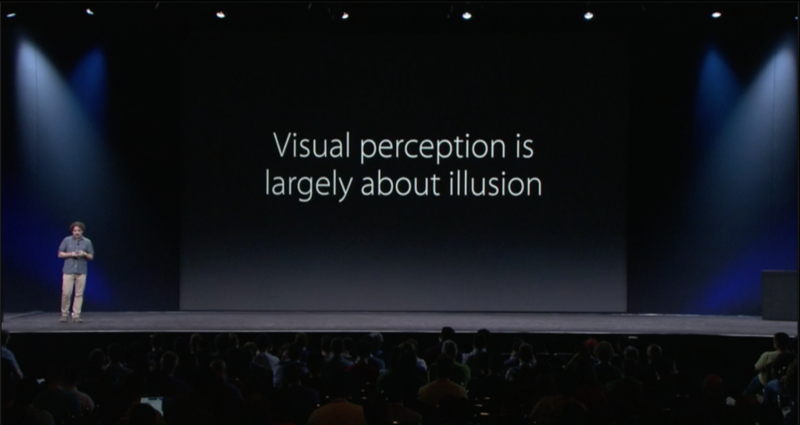 During the annual World Wide Developers Conference held in San Franscisco MATD graduate Antonio Cavedoni took to the stage to introduce the new system fonts for the Apple platforms. The talk is an excellent overview of the work that typeface designers do “behind the scenes” to ensure the texts we read on our devices are readable and well-structured – and a superb introduction to the level of detail that typeface designers work every day. 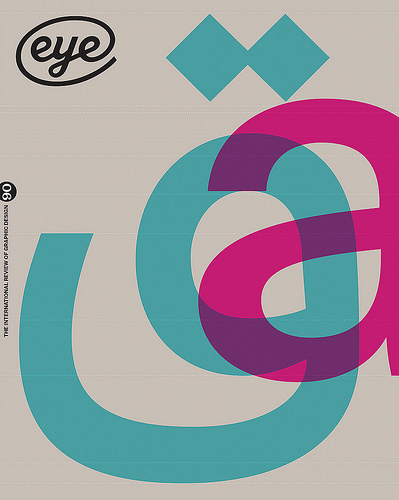 The latest issue of Eye magazine, the international review of graphic design, is dedicated to typography and typeface design. The Department is very well represented in the issue: it includes an extensive profile of Fred Smeijers, long-time collaborator of Eric Kindel on research in stencil letterforms, and past External Examiner for the MA Typeface Design programme. Our graduate Paul Barnes wrote a tribute to James Mosley’s contributions to scholarship in typography, and Gerry Leonidas led Beyond Latin, a panel article on typeface design for global scripts featuring John Hudson, Neelakash Kshetrimayum, Kamal Mansour, and Pascal Zoghbi. Eugene Yukechev’s Type Journal (or, natively, Журнал «Шрифт») continues to set a high standard for interviews drawing on extensive conversations and background research. 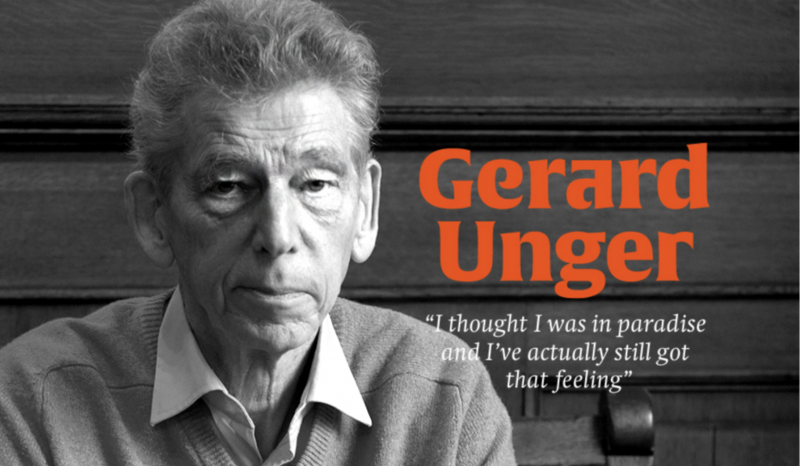 The latest interview is of “our” Gerard Unger, and features some unseen treasures from Gerard’s archive. Google’s PlayBooks application features a new typeface family by Type-Together, which was founded by Reading alumni Veronika Burian and José Scaglione. The brief for the new typeface demanded an outstanding reading experience across a wide range of devices and high resolution screens utilising different rendering technologies. Furthermore, the new typeface family was expected to avoid conventions for e-Readers that have roots in the lower resolutions of earlier devices, and demonstrate how e-Readers could provide a typographic environment comparable to printed pages. The typeface, called Literata, not only had to define a distinct visual identity for Google’s native app, but achieve this across the three scripts required for pan-european coverage. Fellow MATD alumna Irene Vlachou worked on the Greek character set, with support from Gerry Leonidas. Images of the typeface are available on Flickr. 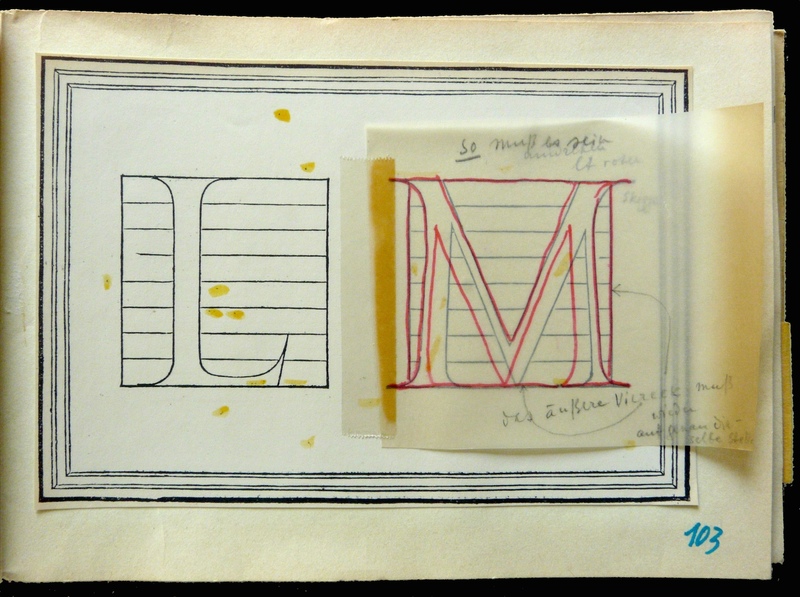 Forty years after the foundation of the Department of Typography & Graphic Communication (and a few more since the inception of the original course, in the late 1960s), Michael’s integration of history, theory and practice continues to define typographic education. 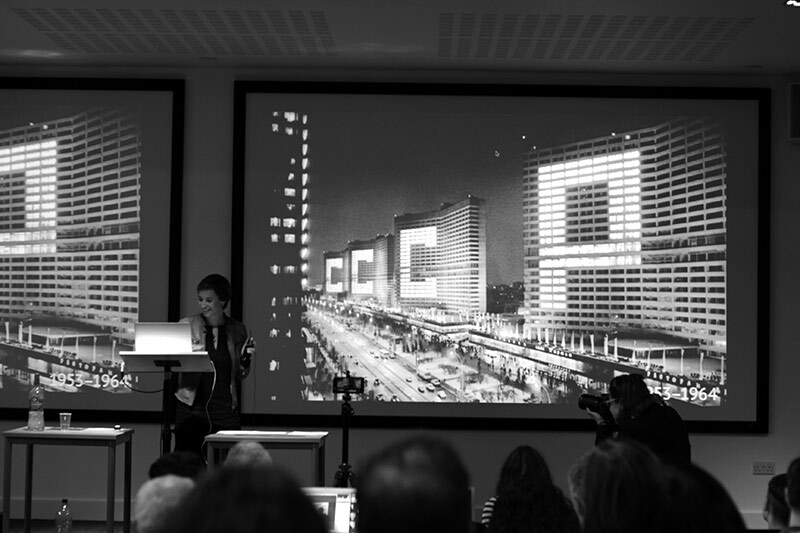 These ideas have proven not only resilient, but prescient: graphic communication education worldwide is moving towards these ideas, holding Reading as a model for both new courses and institutions realigning their design studies. Reading’s presence at the conference was notable. 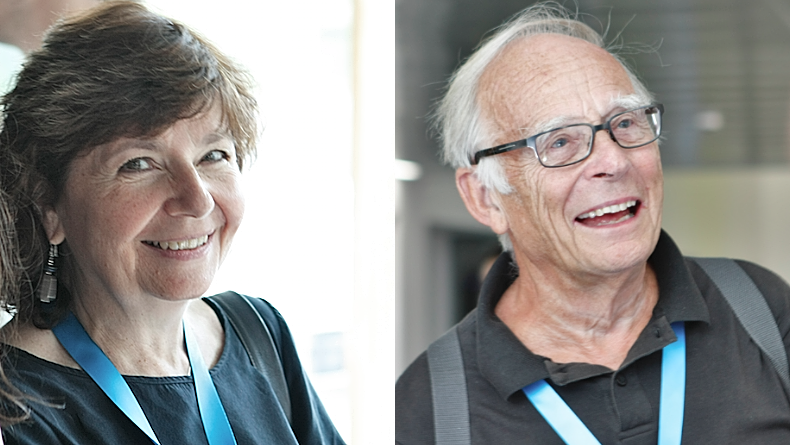 Eric Kindel and Gerard Unger delivered presentations, as did no less than ten MATD alumni, with two more taking part in panel sessions (Azza Alameddine, Nathalie Dumont, Paul Hunt, William Montrose, Toshi Omagari, Michele Patane, Dan Reynolds, Dan Rhatigan, Alice Savoie, Liron Lavi Turkenich; and Veronika Burian and Nadine Chahine respectively). Fiona Ross co-curated (with the regrettably absent Vaibhav Singh) the exhibition “Making news: type technologies in transition in newspapers across the world”. The selection of items from the Department’s Collections & Archives are a source of fascination and discussion by type designers, and reflect the growth of interest in global scripts. 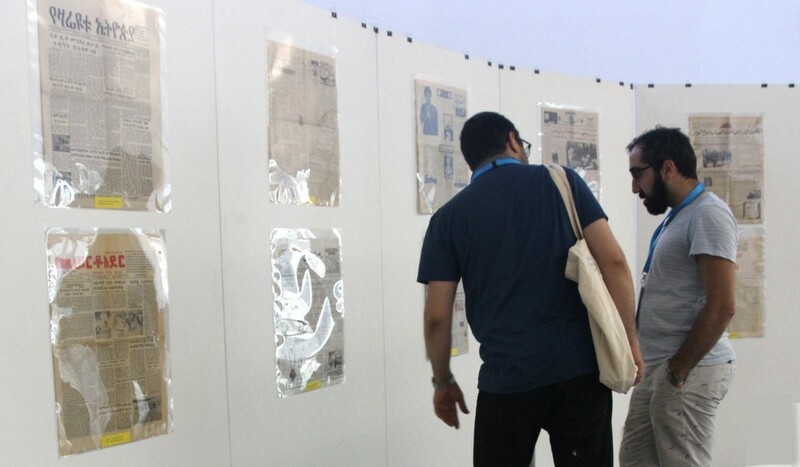 Borna Izadpanah and Behdad Esfahbod reviewing the Urdu section of the exhibition. ATypI president (and Reading alumnus) José Scaglione’s announcement that ATypI 2015 will take place in São Paulo, the first South American location for the Association, which will bring the conference closer to the substantial community of Brazilian alumni.